This design is exactly what you need as it is completely concentrated on excellent product presentation. Huge header banners advertise best deals and offers. Featured and New products are placed in sliders, which let to present as many products as you need on the home page. Categories search in the left sidebar and guiding links in the footer incredibly simplify the navigation process. Great Template and Perfect! Recommended! 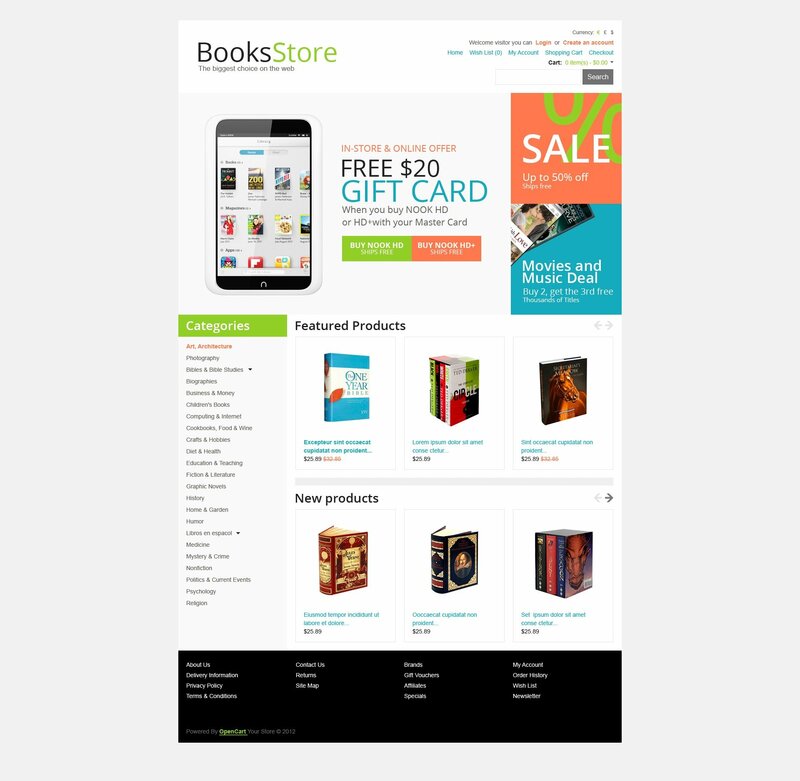 The theme was developed for online book, print and office supplies stores.